This report provides an introduction and overview of topics related to Hate Speech. Anna-Katharina Meßmer and Laura-Kristine Krause clarify what Hate Speech is, what different forms exist and why people counter Hate Speech. They address mainly the following questions: What are best practices? What strategies do not work and why? What regulatory and legal measures are needed to respond to Hate Speech? The whole Report is in German and can be read here. Anna-Katharina Meßmer, Visiting Fellow at Das Progressive Zentrum is the Director of Forschungsinstituts für gesellschaftliche Weiterentwicklung (FGW) and Visiting Fellow in the Democracy Lab. She was previously Strategic Development Lead responsible for strategic partner development and sales for the opinion pollster start-up Civey. As an academic, she worked on various projects at the “Institut für Medien- und Kommunikationspolitik” at Ludwig-Maximilians-Universität in Munich. She has published a number of articles and essays on hate speech and online discourses. 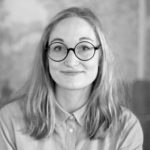 Laura-Kristine Krause was heading the programme Future of Democracy at Das Progressive Zentrum until March 2018. Laura Krause is Co-Chairwoman of D64 and was Fellow of the Transatlantic Digital Debates 2017. Her contributions focus on digital democracy, democratic reform and women in politics.